What I’m trying to do is prevent bluetooth from turning on at boot. I do not want to disable the bluetooth service. I would just like to have bluetooth turned off and be able to turn it back on when I need it. According to the Arch wiki, this should be the default behaviour, but for whatever reason, it turns on whenever I log in. I’ve tried setting AutoEnable to false in /etc/bluetooth/main.conf, but no luck there either. Did I break it somehow? This was needed because I was trying to pair my XBONE controller (which worked!). Does disabling ERTM mess with AutoEnable somehow? To make the info complete, please mention your DE also, so we can help you more specifically. Sorry about that! My DE is XFCE and I have blueman as my bluetooth manager. Bluetooth is most likely selected automatic at start up. XFCE has this enabled by default, you can disable it in the settingsmenu in start up and session (I don’t know if it’s the correct english name for it, but it’s in the section hardware) Just unselect bluetooth in that menu and you’re good to go. The only thing bluetooth-related is the blueman manager in the application autostart section. I can disable it, but I imagine all that does is it gets rid of the manager, but bluetooth would still be on. Or am I wrong on this? If you disable it, it won’t autostart. 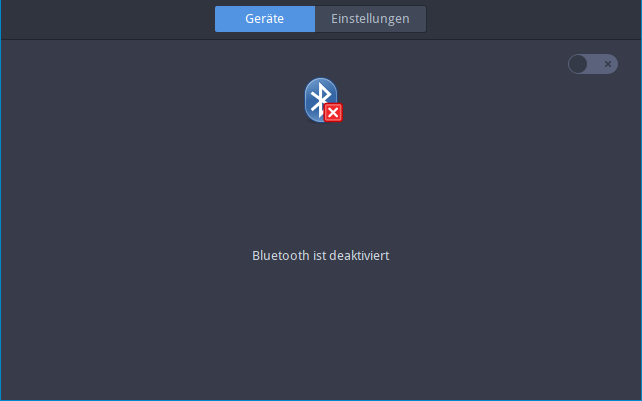 @onlooker You can also use blueberry bluetooth backend, it will integrate into xfce settings too, and have a switch to put on and of, this setting will be in the state also after reboot. Thanks, joekamprad. That did the trick! Marking as solved.